Desc: Sterling Silver link horse choker necklace. The necklace is fashioned from two wheat link chains with nine links. 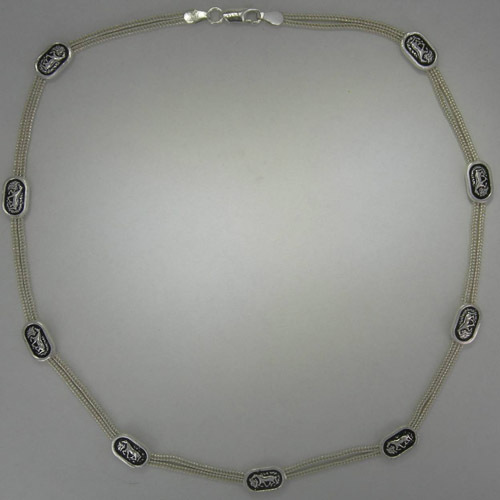 Each link is oval with a galloping horse engraved in the center. The necklace has a lobster claw clasp. The necklace has bright polish finish. 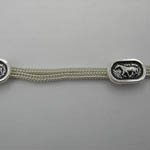 Each link has antiquing to emphasize the detail of the galloping horse motif.